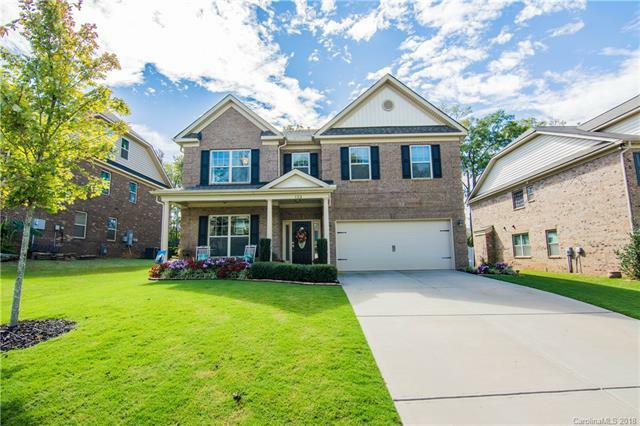 AMAZING MOVE-IN READY FULL-BRICK home in SC! 4 BEDROOMS + 4 FULL BATHROOMS. It features a rocking chair front porch, well-maintained landscaping, open floor plan, sitting room, formal dining room, hardwood floors, loft and so much more! Great space for entertaining. Gourmet kitchen equipped with over-sized kitchen island, breakfast bar/area, butler's pantry, gas stove, SS appliances, granite counters, & plenty of cabinets for storage. Spacious Master Suite w/ tray ceilings, walk-in closet, extended dual vanities, garden tub, & glass shower. Guest bed/bath on the main floor. Granite and tile throughout the bathrooms. Extra storage in the garage. Tankless water heater. Patio and private yard facing woods. UPGRADES INCLUDE: paint, light fixtures, landscaping, & ceiling fans. Close to the lake, restaurants, and shopping.